With that in mind, white papers won’t fulfill any of their intended purposes if no one is reading them. As a result, it is important to implement Search Engine Optimization (SEO) strategies for your white papers — just like you’d do for any other content. 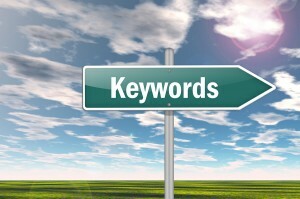 Keywords are the foundation upon which B2B white papers are built. Without strong keyword usage, the entire house of cards collapses. Before you can start implementing keywords into your white paper content, you first need to identify the keywords that will put your article on Google’s radar and allow potential leads to find you. Your initial list from Step 1 is a solid start, but you aren’t ready to nail it down just yet. Why? Because these days, stand-alone keywords are not the “end all, be all” of a good Search Engine Optimization strategy. On the contrary. According to Barry Feldman, of Feldman Creative, your primary strategy should be to use long tail keyword phrases consisting of four, five, or even six different keywords. Feldman’s example involved a comparison between a “head” keyword search (“acoustic guitar”) and a long tail keyword search (“used Taylor 12-string acoustic-electric guitar”), with his conclusion being that the person doing the latter search is a much more qualified lead than the person doing the first search. To start creating your long tail phrases, take a look at your list from Step 1 and think about how you can combine them or flesh them out into more specific phrases. Sometimes it is helpful to draw arrows or lines between different words, or to compile an entirely new list of just long tail keywords. Visualizing this process, and keeping track of your keywords, will ensure that you don’t forget anything when it comes time to writing your white paper marketing materials. What are they doing with head and long tail keywords? Is it effective? How are their Google rankings? Have they managed to incorporate their keywords and keyword phrases in a natural way that doesn’t leave the content feeling choppy, unnatural, or dull? Jot down notes as you go. Modeling your B2B keyword strategy based on competitors and existing marketing materials is a good place to start, but keep in mind that you don’t want your white papers to be carbon copies of what everyone else is doing. Rather, you want to fill content gaps and provide information that customers can’t get from your competitors. Analyzing your competitors’ marketing materials is a good way to identify content gaps in your field. Look to see if there are keyword phrases on your list that were nowhere to be found in your competitor’s content. If not, don’t take that as a sign that those keyword phrases aren’t valuable. On the contrary, they might be just the phrases you need to use to carve out your niche on the B2B sales circuit.